Why choose Metro Car Removals? Because we’ll offer you up to $9999 Cash for your vehicle. We buy all makes and models of any age and condition. Avoid all the hassles today. 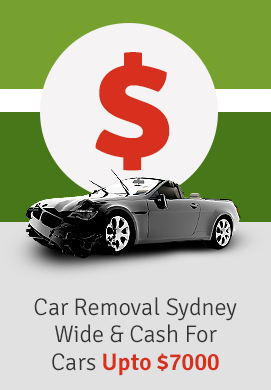 Get Cash and Free Towing Sydney Wide. Give Metro Car Removals a call. There’s something nice about being able to pick up the phone and with no hassles, schedule a Free Car Removal anywhere in Sydney at a time that fits your schedule. Metro Car Removals offers all vehicles owners that service. We provide vehicle owners with easy and convenient Car Removals that are scheduled at a time of their convenience. Scheduling can be done with just a call to us. At the time you call to let us know you want to get rid of your vehicle, we’ll make you a Cash for Cars offer. Our Car Removals take about 45 minutes from start to finish. Because we don’t just remove your vehicle, but buy it for cash, we will need to complete a quick inspection of the auto. The inspection is simply making sure that the vehicle is the vehicle you described over the phone. Our technician will lift the hood, walk around the car, etc. and confirm that it is in the condition you described, as well. The entire process takes about 10 minutes to complete. Once the inspection is out of the way, we will then provide our sales contract for you to sign, and ask that you sign over the vehicle’s title of ownership or scrap title.After that, we will make our cash offer. Our free Car Removals in Sydney are fast and convenient. At Metro Car Removals, you can count on a cash payment at the time we come to collect your vehicle. We buy and pay cash for any type and condition of a vehicle. Whether in running condition, broken or with no engine. You can get a cash payment today. Cash up to $9999. We are a Car Removal company in Sydney that works for you to provide you with the best Car Selling experience. Ready to Get A No Obligation Quote on Your Unwanted Vehicle & A Free Car Removal? Fill out our “Get a Quote” form that is found at the top right of this page. Let us know the make, model, age and condition of your vehicle at the time of your call and we’ll make you an offer. Like the offer, and let us know when you’d like us to bring you the cash and remove your auto.